Sometimes, it happens… BAM… inspiration! Enjoying a long weekend, Lisa and I decided to make baja fish tacos, a culinary feat in patience as we waited for pickled onions to cure, battered halibut to be infused and beer to be consumed. I’m happy to report that the resulting alchemy was nothing short of dazzling! 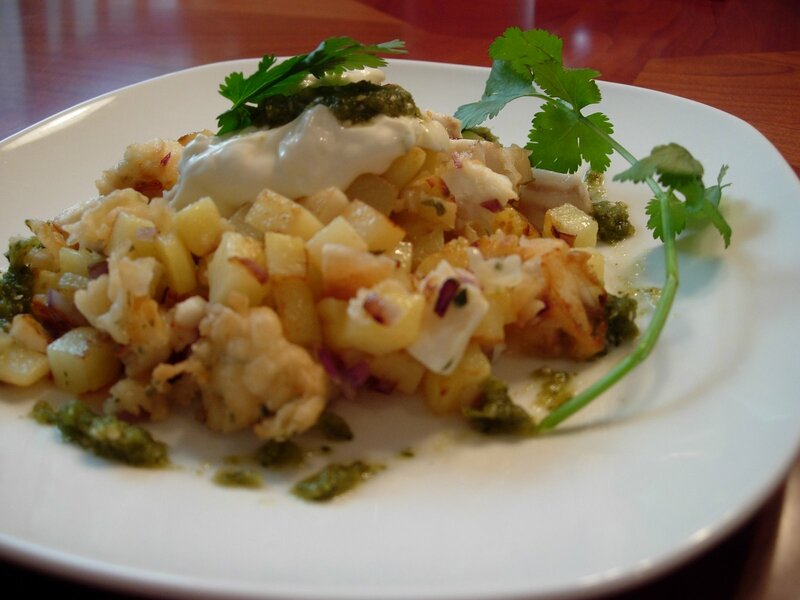 The basic story goes like this: take leftover halibut, which had been breaded in buttermilk, hot sauce, cilantro and flour, the baja cream sauce and the salsa verde.